Optimize pictures without quality loss. 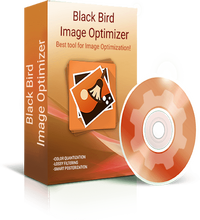 Black Bird Image Optimizer 1.0.2.9 was available as a giveaway on November 1, 2017! 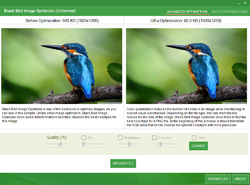 With Black Bird Image Optimizer - you can reduce the size of your photos without quality loss! 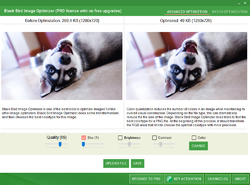 It uses a completely new color quantization algorithm which is capable of reducing the size of photos without quality loss! 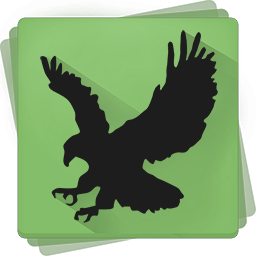 Also, Black Bird Image Optimizer removes unnecessary metadata from the images. -Re-install policy: can be registered after promo ends. 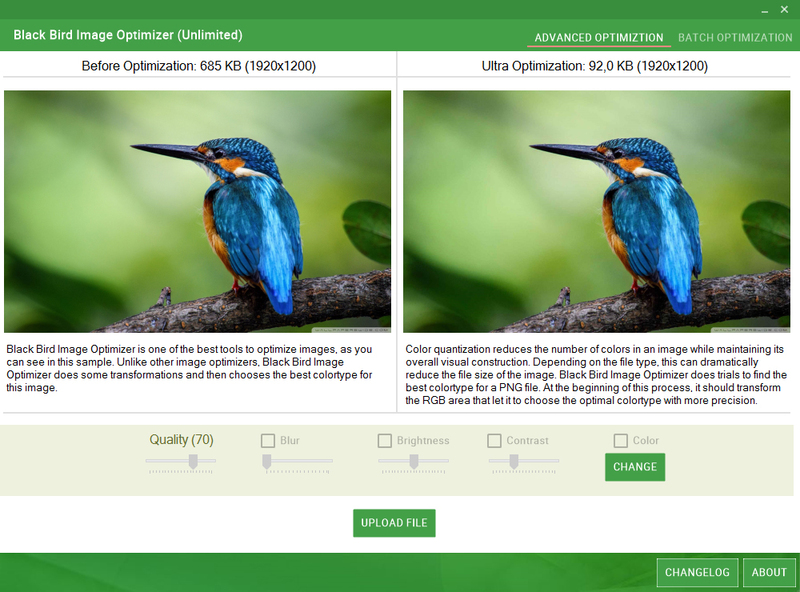 How would you improve Black Bird Image Optimizer 1.0.2.9? 1) The optimized images receive file dates that are accurate to when the image was optimized. This is a problem for me, as all of my images are date-ordered, and I care much more for when the image was taken, as compared to when it was optimized. Please have an option that retains the original file date. 2) I found in my testing that I had some .gif files that were mis-labelled as .jpg. The software took the file extension as gospel, and reduced these .gifs to single-frame .gifs, destroying much of the content. 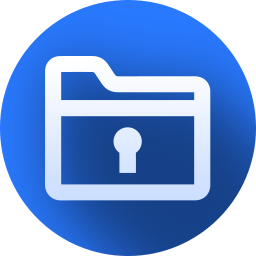 It is an easy thing to compare the file extension to the file signature within the file and confirm they match, or at the very least, confirm what optimization algorithm to apply (if any). Given that Windows file extensions are a suggestion at best, this would prevent damage to files during processing. Otherwise, the software did a very commendable job of reducing file sizes, and the default settings were sufficient to reduce most of my image folders to almost half the original stored size with no appreciable degradation in quality. It took me a while to give this a spin, but a day later, I have news to report. Of course, it doesn't help those who would want to download the giveaway, but hopefully it will benefit the developer (which is a key in this whole "we give you free software, you give us useful input" agreement.) I found myself most interested in batch mode, but I'm presuming that the issues I found would be equally applicable to the Advanced (single image) mode. A couple of things that stood out that will lead me to not use this software: 1) The optimized images receive file dates that are accurate to when the image was optimized. This is a problem for me, as all of my images are date-ordered, and I care much more for when the image was taken, as compared to when it was optimized. Please have an option that retains the original file date. 2) I found in my testing that I had some .gif files that were mis-labelled as .jpg. The software took the file extension as gospel, and reduced these .gifs to single-frame .gifs, destroying much of the content. 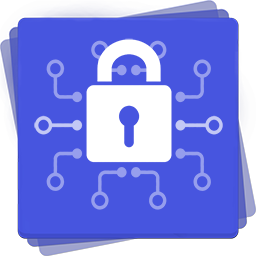 It is an easy thing to compare the file extension to the file signature within the file and confirm they match, or at the very least, confirm what optimization algorithm to apply (if any). Given that Windows file extensions are a suggestion at best, this would prevent damage to files during processing. Otherwise, the software did a very commendable job of reducing file sizes, and the default settings were sufficient to reduce most of my image folders to almost half the original stored size with no appreciable degradation in quality. Good Job! I've used Free Pixresizer for years without a glitch. If anyone has done comparisons, please comment. I can't find where to place the reg code. When you put in your email address, it pops up a registration #, but for the life of me, I can't find how to put it in the program. Can someone please help me? I've never ran into this problem before. You paste the registration number in the small popup window just above where it says "registration key", if I recall correctly. It is a little tricky, because IIRC there is no dotted line or marked field to put it in, but try it, and I am sure you will succeed. I haven't seen a resizing program that doesn't make excellent reduction pics. This program is no big deal and anyone that's willing to pay $25 for this is flushing money down the toilet. Now if any of these "fantastic" resizing programs can enlarge pictures and maitain high quality I'd gladly pay for it. This software is a zero. Tons of free-bees out there that do just as well without the hype. Nice piece of software! Even at 95% optimization, the highest setting, the file size of PNGs is reduced by half, and I can't see a visual difference with the files I've tried. I use the similar JPEGMini all the time, but that works only on JPEG files. Thanks for offering this! Great for optimizing ebooks and for the web. David Bookbinder, most lossy compressions base the losses on studies done on human visual perception inadequacies and are designed so that most people with "normal" visual function will not notice the actual detail loss or added compression artifacts. Also if you are displaying a 15megapixel image in a 1.5megapixel frame you are not going to be able to see the original resolution or notice massive reductions in quality that results from severe over compression unless you zoom in to 100% to 200%, and it is quite likely that the display you'll be using won't be able to fully render the full dynamic range of all the colours in the source image so again you wont be able to perceive compression of colour bits from re-quanitization that often happens with ?PEG? compression. For ebooks and web pages files should be resized to the target maximum display dimensions needed and then the optimal compressed format used for the image type, i.e. some images compress better as 256 colour or less GIF files, others compress better as JPEG and some better as PNG with or without Alpha. David Bookbinder, most lossy compressions base the losses on studies done on human visual perception inadequacies and are designed so that most people with "normal" visual function will not notice the actual detail loss or added compression artifacts. Also if you are displaying a 15megapixel image in a 1.5megapixel frame you are not going to be able to see the original resolution or notice massive reductions in quality that results from severe over compression unless you zoom in to 100% to 200%, and it is quite likely that the display you'll be using won't be able to fully render the full dynamic range of all the colours in the source image so again you wont be able to perceive compression of colour bits from re-quanitization that often happens with ?PEG? compression. For ebooks and web pages files should be resized to the target maximum display dimensions needed and then the optimal compressed format used for the image type, i.e. some images compress better as 256 colour or less GIF files, others compress better as JPEG and some better as PNG with or without Alpha. Actually, I find that the "resizer" built into the Windows operating system gives the best combination of file size reduction with minimum quality reduction of anything else that I have seen. AND, it's built into the system - - - - - no new software required. Anthony, Actually, I find that the "resizer" built into the Windows operating system gives the best combination of file size reduction with minimum quality reduction of anything else that I have seen. AND, it's built into the system - - - - - no new software required. MikeR, So very true. I see the point if you are talking about the typical point and shoot camera where the main function is selfies and snapshots of family events. However, for someone doing more serious photography, it is ALL about the DPI (dots per inch) and the more you have the better the print. Also, metadata is important to many of us, depending on how and where your files exist. Something that strips "unnecessary" metadata is not a desirable thing in this case either. I am truly leary of anything that offers to rid my files of what they deem unnecessary automatically. What you said is only true, if that is what you want to believe. The only way that cropping would have a detrimental effect on the image quality, is by using a fish-eye lens and shooting a subject that is half a mile away. For regular shooting/cropping, it makes not a bit of difference in the world. The old Nikon D1 (one megapixel) camera takes just as good a photo as the 40+ megapixel camera's we see today. I crop all the time with both of my D5300 and D7000, and they look just fine, especially when you are not being paid money to take the pictures in the first place. 9 out of 10 users of these fancy camera's, never take them off "auto" anyway, if they did, they would get lost and have disastrous results, no matter what format they choose. At night, their pictures would be automatically shooting in H2 ISO and look washed out and grainy, and they wouldn't have the slightest clue as to why. As for the "confusion'' between megapixel and megabyte, really doesn't matter that much to the birthday shooter, they don't know the difference anyway. Higher megapixel means higher megabyte, six of one, half a dozen of the other. MikeR, What you said is only true, if that is what you want to believe. The only way that cropping would have a detrimental effect on the image quality, is by using a fish-eye lens and shooting a subject that is half a mile away. For regular shooting/cropping, it makes not a bit of difference in the world. The old Nikon D1 (one megapixel) camera takes just as good a photo as the 40+ megapixel camera's we see today. I crop all the time with both of my D5300 and D7000, and they look just fine, especially when you are not being paid money to take the pictures in the first place. 9 out of 10 users of these fancy camera's, never take them off "auto" anyway, if they did, they would get lost and have disastrous results, no matter what format they choose. At night, their pictures would be automatically shooting in H2 ISO and look washed out and grainy, and they wouldn't have the slightest clue as to why. As for the "confusion'' between megapixel and megabyte, really doesn't matter that much to the birthday shooter, they don't know the difference anyway. Higher megapixel means higher megabyte, six of one, half a dozen of the other. The more you have, the better the print, when you print in ultra large formats. Sorry, but the idea that you would see bad results while shooting at the lowest quality settings for typical 8x10 prints, is absolute felonious. Try it, you will see. If you have a good printer which still won't even touch the DPI of the actual photo, it will look great. I was speaking specifically about the amateur camera users, which make up the market for DSLR's these days, they don't have a clue what the camera is actually capable of, and the size of the files/settings they use, are unjustified. There is no difference in quality under normal usage between a 24meg picture, and a 2meg picture. Like I said, this was going to hurt some feelings, and I expected a lot of people crying about the post, but I always tell it the way it is, not the way people want it to be. 90% of the DSLR's are being way under used by people that have no clue about photography, they just want to impress their friends. As painful as that may be, it still is the truth. I am very curious how many dot per square inch your printer is capable of, then if you actually know the DPI of the pictures you are taking. That would be fascinating to know. I bet dollar to donuts that your printer can't even cope with half of the resolution your pictures are stored in, unless you have a 5,000 dollar printer of course. Jane Spaulding, The more you have, the better the print, when you print in ultra large formats. Sorry, but the idea that you would see bad results while shooting at the lowest quality settings for typical 8x10 prints, is absolute felonious. Try it, you will see. If you have a good printer which still won't even touch the DPI of the actual photo, it will look great. I was speaking specifically about the amateur camera users, which make up the market for DSLR's these days, they don't have a clue what the camera is actually capable of, and the size of the files/settings they use, are unjustified. There is no difference in quality under normal usage between a 24meg picture, and a 2meg picture. Like I said, this was going to hurt some feelings, and I expected a lot of people crying about the post, but I always tell it the way it is, not the way people want it to be. 90% of the DSLR's are being way under used by people that have no clue about photography, they just want to impress their friends. As painful as that may be, it still is the truth. I am very curious how many dot per square inch your printer is capable of, then if you actually know the DPI of the pictures you are taking. That would be fascinating to know. I bet dollar to donuts that your printer can't even cope with half of the resolution your pictures are stored in, unless you have a 5,000 dollar printer of course. Anthony, with multi-terabyte hard drives and multi-gigabyte flash drives who cares if the losslessly compressed 60Megapixal image takes up a hundred megabytes or more per image? I certainly don't! Though I would be dumb posting the losslessly compressed source files to a website unless I was selling them... but I would need to produce thumbnails for pre-sales tasters and I certainly would not waste my time with this program! Buy the equipment you need, if you don't need 20Megapixel sensor don't buy a camera with one or better... no one is forcing you to buy anything! Others may need 60Megapixel sensor or better for large format photographic work. Anthony, with multi-terabyte hard drives and multi-gigabyte flash drives who cares if the losslessly compressed 60Megapixal image takes up a hundred megabytes or more per image? I certainly don't! Though I would be dumb posting the losslessly compressed source files to a website unless I was selling them... but I would need to produce thumbnails for pre-sales tasters and I certainly would not waste my time with this program! Buy the equipment you need, if you don't need 20Megapixel sensor don't buy a camera with one or better... no one is forcing you to buy anything! Others may need 60Megapixel sensor or better for large format photographic work. Anthony: a camera's 'auto setting', ISOs, focal lengths and exposures have nothing whatever to do with the composition of an image. And it's composition which cropping is all about, not whether an image is properly focused or lit. Let's put it simply: if I crop one-third of a 24Mb image with an intended dimensional output size of A4, I finish up with a re-composed image that though now minus one third of its original visual content hasn't shrunk by one-third of its intended A4 size nor has it given up one third of its quality, either. You seem to be saying that I (and anyone else) can achieve that task of cropping / re-composition just as well with the output of a 1 megapixel camera as with the output of a 40 megapixel camera. I'm sorry, but that patently isn't true. Anthony: a camera's 'auto setting', ISOs, focal lengths and exposures have nothing whatever to do with the composition of an image. And it's composition which cropping is all about, not whether an image is properly focused or lit. Let's put it simply: if I crop one-third of a 24Mb image with an intended dimensional output size of A4, I finish up with a re-composed image that though now minus one third of its original visual content hasn't shrunk by one-third of its intended A4 size nor has it given up one third of its quality, either. You seem to be saying that I (and anyone else) can achieve that task of cropping / re-composition just as well with the output of a 1 megapixel camera as with the output of a 40 megapixel camera. I'm sorry, but that patently isn't true. Well when I download an album of music, and it is smaller than the 10 photos of my puppy, I know that something is wrong. I don't know what the source of your older picture was, but again, there is a difference between what you get with a point and shoot early model digital camera, and a modern DSLR of todays standards. The lowest file size on these camera's would work just fine in 8x10. Most printers can't even touch the DPI that the image has anyway, since so many others have tried to use that as the reason for having huge files. Unless you spent 5k on your printer, the DPI is never going to come close to the DPI of the image itself. Again, I am referring to Sally and Hunter, the BMW drivers that bought their top level DSLR because it makes them look great in their selfies and they can brag to their friends. They don't know what any of this means anyway, they just set the camera to auto, fire away, and hope that they get a few shots worthy of their profile picture on facebook. You know who I am talking about. Even the average "photo bug" still won't ever use or need the full potential of their camera. I know quite a bit about photography, and even I don't know half of what my camera's are capable of, just knew that I needed something that gave me more control than a standard point/shoot style. I needed something that gave me control of the focal length, focal point and ability to change from wide angle lens to super long lenses for racing. I have shot anywhere from RAW to low, and the prints at 8x10 looked absolute no different. Anyone saying otherwise, is not be honest. If you need to make tarpaulin prints, then of course bigger is better, but that too depends on the printer creating the wall size picture. Beyond that, the DSLR's are stupidly excessive, and only get bigger to sell the latest and greatest to those who have to have the biggest/best camera out there. Again, the sensor and the lens are much more crucial than the actual size of the picture being taken, that is just a fact. But it is ok, I don't mind if people are upset about my post, as I stated, I expected push back. Probably touched a nerve with a few people that got that 56megapixel camera and think they are taking NASA quality images that are award winning. Speaking of that, even the Hubble Space Telescope doesn't have a full megapixel sensor on it, yet we don't have a lot of complaints about that. David Bookbinder, Well when I download an album of music, and it is smaller than the 10 photos of my puppy, I know that something is wrong. I don't know what the source of your older picture was, but again, there is a difference between what you get with a point and shoot early model digital camera, and a modern DSLR of todays standards. The lowest file size on these camera's would work just fine in 8x10. Most printers can't even touch the DPI that the image has anyway, since so many others have tried to use that as the reason for having huge files. Unless you spent 5k on your printer, the DPI is never going to come close to the DPI of the image itself. Again, I am referring to Sally and Hunter, the BMW drivers that bought their top level DSLR because it makes them look great in their selfies and they can brag to their friends. They don't know what any of this means anyway, they just set the camera to auto, fire away, and hope that they get a few shots worthy of their profile picture on facebook. You know who I am talking about. Even the average "photo bug" still won't ever use or need the full potential of their camera. I know quite a bit about photography, and even I don't know half of what my camera's are capable of, just knew that I needed something that gave me more control than a standard point/shoot style. I needed something that gave me control of the focal length, focal point and ability to change from wide angle lens to super long lenses for racing. I have shot anywhere from RAW to low, and the prints at 8x10 looked absolute no different. Anyone saying otherwise, is not be honest. If you need to make tarpaulin prints, then of course bigger is better, but that too depends on the printer creating the wall size picture. Beyond that, the DSLR's are stupidly excessive, and only get bigger to sell the latest and greatest to those who have to have the biggest/best camera out there. Again, the sensor and the lens are much more crucial than the actual size of the picture being taken, that is just a fact. But it is ok, I don't mind if people are upset about my post, as I stated, I expected push back. Probably touched a nerve with a few people that got that 56megapixel camera and think they are taking NASA quality images that are award winning. Speaking of that, even the Hubble Space Telescope doesn't have a full megapixel sensor on it, yet we don't have a lot of complaints about that. I always shoot to crop, I tell my wife, you can't add what you don't see. We crop all the time, and have no issue at all. If you have a quality 1mp camera, like the D1 form 20 years ago, it crops just fine. This is a circle argument anyway, I will never accept that you need all that data to print on A4 paper, I have been taking pictures for decades and never have had that problem. I don't use phone camera's to take my pictures that are important to me anyway. Even on the lowest setting my camera will allow, the prints come out just fine, even while cropped. Again, unless your image become lower than the DPI of the printer, you won't see any difference. You have to crop an awful lot to get that bad a result. Maybe you are taking such shots, but in the digital age, why be so stingy, take both wide and close pictures, that is also what I do. I have 32GB memory cards, and can literally shoot them for the next decade on low settings, and never have to change the card before it becomes full. Even in RAW, I can still take more than 1,000 photos. Who the hell takes a thousand photos of anything? We are not going to agree, that is obvious. I don't know what kind of camera you use, and maybe you need better gear, but if you are basing what you buy on the gimmick of "megapixel" size, then you are exactly who they are targeting with their advertising. In the real world, it just does NOT make any difference. If you are a professional or semi-professional photographer, then obviously this does not apply to you. It is the average joe that I am taking aim at, so to speak. They don't have a clue, they just know that more/bigger means better. While it may be true in the extreme sense, to the average user, it makes ZERO difference. MikeR, I always shoot to crop, I tell my wife, you can't add what you don't see. We crop all the time, and have no issue at all. If you have a quality 1mp camera, like the D1 form 20 years ago, it crops just fine. This is a circle argument anyway, I will never accept that you need all that data to print on A4 paper, I have been taking pictures for decades and never have had that problem. I don't use phone camera's to take my pictures that are important to me anyway. Even on the lowest setting my camera will allow, the prints come out just fine, even while cropped. Again, unless your image become lower than the DPI of the printer, you won't see any difference. You have to crop an awful lot to get that bad a result. Maybe you are taking such shots, but in the digital age, why be so stingy, take both wide and close pictures, that is also what I do. I have 32GB memory cards, and can literally shoot them for the next decade on low settings, and never have to change the card before it becomes full. Even in RAW, I can still take more than 1,000 photos. Who the hell takes a thousand photos of anything? We are not going to agree, that is obvious. I don't know what kind of camera you use, and maybe you need better gear, but if you are basing what you buy on the gimmick of "megapixel" size, then you are exactly who they are targeting with their advertising. In the real world, it just does NOT make any difference. If you are a professional or semi-professional photographer, then obviously this does not apply to you. It is the average joe that I am taking aim at, so to speak. They don't have a clue, they just know that more/bigger means better. While it may be true in the extreme sense, to the average user, it makes ZERO difference. Is there one in Win7? Yes. I just right click on the file(s) of interest, and select "Resize pictures" from the menu. To use in batch mode, just use the Shift and/or Ctrl keys to highlight multiple files before doing the right click. You 'll get offered a choice of multiple levels of reduction. McG, Yes. I just right click on the file(s) of interest, and select "Resize pictures" from the menu. To use in batch mode, just use the Shift and/or Ctrl keys to highlight multiple files before doing the right click. You 'll get offered a choice of multiple levels of reduction. Mike Henry, thanks for the reply, however, I had a look and that option is not in the menu. I'm running win7 pro 64bit. Any idea how/where I can find it? I checked the help and support but found nothing of the kind either. It's in Power Toys. After you install it, then it appears automatically on your right-click menu for files. I am using it on Win 7 pro 64-bit. McG, It's in Power Toys. After you install it, then it appears automatically on your right-click menu for files. Take a look at: http://www.nirmaltv.com/2009/08/26/image-resizer-power-toy-for-windows-7/ I am using it on Win 7 pro 64-bit. how to activate it, no option is there? Did you read the Read-Me file? r verma, Did you read the Read-Me file? I want to echo MikeR's comment about FileMinimizerPictures-Free. It's free, small (4 MB,) configurable, easy to use, has free tech support, and has no use time limit. Registration & "calling home" are not required. Download & install takes 2 steps & less than 60 seconds. Conversion of a 4 MB photograph to just over 1 took 10 seconds. For most of the pictures I've done, there were no detectable differences on a 48 inch 4K monitor. It's allowed me to send multiple large photo files to other photographers in a single email rather than either using multiple emails or transferring to Google Drive. While I always look at offerings of similar programs, I've not seen one so far that has tempted me away. I want to echo MikeR's comment about FileMinimizerPictures-Free. It's free, small (4 MB,) configurable, easy to use, has free tech support, and has no use time limit. Registration & "calling home" are not required. I've used it for several years and it has become my go-to program for reducing photograph file size. I stumbled upon it when my nearly a TB of collected photos was going to require the expense of more storage. (I ended up buying more anyway because there were many large PNG files I wanted to keep unmolested.) Download & install takes 2 steps & less than 60 seconds. Conversion of a 4 MB photograph to just over 1 took 10 seconds. For most of the pictures I've done, there were no detectable differences on a 48 inch 4K monitor. It's allowed me to send multiple large photo files to other photographers in a single email rather than either using multiple emails or transferring to Google Drive. While I always look at offerings of similar programs, I've not seen one so far that has tempted me away. It works well and does as it says. I don't think the quality suffers BUT i would have loved to see a slider for size included so that the Photo can REALLY be optimized. If it replaced the colour slider I feel that would be a great improvement. A keeper for me subject to further proving. i cant seem to see a difference between the registered copy and the non reg copy. (I used a disposable email addy) It works well and does as it says. I don't think the quality suffers BUT i would have loved to see a slider for size included so that the Photo can REALLY be optimized. If it replaced the colour slider I feel that would be a great improvement. A keeper for me subject to further proving. Image Resizer for Windows is free and is the only resizer you will ever need. It runs in single or batch off the context menu. Image Resizer for Windows is free and is the only resizer you will ever need. It runs in single or batch off the context menu. http://www.bricelam.net/ImageResizer/ Enjoy! John, The program you mention is is an excellent program. Todays offering has many effects but they are too severe to be of any use, only the Quality slider which is the resize control does anything useful. But its not as efficient as Image Resizer for Windows. John, The program you mention is is an excellent program. Todays offering has many effects but they are too severe to be of any use, only the Quality slider which is the resize control does anything useful. But its not as efficient as Image Resizer for Windows. Have just installed but could not find Reg Key. Follow the instruction in the accompanying text file, my friend. When you input your email address the Registration Key is displayed on the page. Sam-Ottawa S, Follow the instruction in the accompanying text file, my friend. When you input your email address the Registration Key is displayed on the page. I think this vendor needs to look up the word "quality" in and English language dictionary. ANY recompression of an image using JPEG algorithim WILL result in a measurable loss of quality as it is a lossy algorithim unless it is using non-JPEG compression in which case the compression achieved is markedly poorer than normal algorithim. Also qualify exactly what it means by "you can reduce the size of your photos without quality loss!" as if your image is an uncompressed bitmap which is VERY unlikely, you can use any number of lossless image compresion methods to technically reduce the file size of the uncompressed image without any quantifiable quality loss as the end result is the same binary data when the image is viewed. If you quantatise the colour information at anything other than 1 to 1 bit translation by definition you are reducing colour resolution that is what its defined as being! I think this vendor needs to look up the word "quality" in and English language dictionary. ANY recompression of an image using JPEG algorithim WILL result in a measurable loss of quality as it is a lossy algorithim unless it is using non-JPEG compression in which case the compression achieved is markedly poorer than normal algorithim. Also qualify exactly what it means by "you can reduce the size of your photos without quality loss!" as if your image is an uncompressed bitmap which is VERY unlikely, you can use any number of lossless image compresion methods to technically reduce the file size of the uncompressed image without any quantifiable quality loss as the end result is the same binary data when the image is viewed. If you quantatise the colour information at anything other than 1 to 1 bit translation by definition you are reducing colour resolution that is what its defined as being! TK, Sounds like you need FastStone Photo Resizer to resize your images. Rob, why? 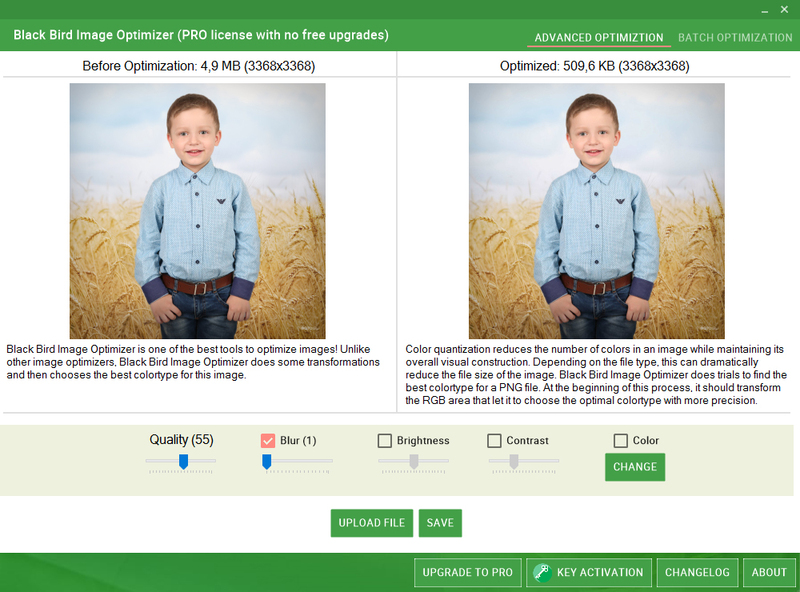 I have Irfanview for ALL my image resizing and image optimisation needs. I don't see why your comment should be downvoted so much as it informs the user with facts, instead of all the fanboy blahblah about Image Optimizer. I read in a comment from MikeR about the 'unfortunate confusion' this program seems to have. However, I think there is NO excuse when you describe yourself with words as "without quality loss" etc. This program DOES NOT, CAN NOT reduce filesize WITHOUT QUALITY LOSS. And as such it SHOULD NOT describe itself like that and/or promise the user something which it can not do!! However, it IS possible to reduce the filesize of compressed files like JPG, PNG, etc (and often quite a lot) without quality loss! A program which does that since more ten 10 years is PNGOUT (also works for JPGs). It is by far the best I have ever seen (better than any other re-compression tools). 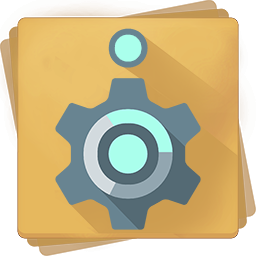 It is also available as a plugin for IrfanView. Very true. Any time you resave as a jpg you get more of the jpg artifacting. The only way around this is to save in a tif (very large file size) or png file. The problem with a png save is that unless that file format has improved greatly over the years it limits you to 256 colors. DARN, forgot but got BOTH Faststone and infraview so wasted time with this one TRYING to get the dumb thing to open with 3 installs - wasted my time so can thank ya for the reminder that I Don' Need This one. Rob, DARN, forgot but got BOTH Faststone and infraview so wasted time with this one TRYING to get the dumb thing to open with 3 installs - wasted my time so can thank ya for the reminder that I Don' Need This one. Also, JPG _CAN_ be saved lossless (eg- JPG2000 subformat) although not many graphic programs can do that/support it. Jane Spaulding, Also, JPG _CAN_ be saved lossless (eg- JPG2000 subformat) although not many graphic programs can do that/support it. OscarWilde, png does have a 256 colour paletted mode as well as 24bit RGB plus alpha we all know and like and others including lossless and lossy compression and GIF style single colour transparent and greyscale etc. OscarWilde, Possibly. I use PNG all of the time but I had not really thought about the parameters allowed by the file format for many years. My fractal app I use every day saves a png file as it's native image file, though. The point was that Jane Spaulding thought PNG _only_ supports 256 colors. TK, yes I know. That was not the point ;-) (ps: PNG supports far more color palettes than just 24+alpha and 256. It supports everything in between 2 color-mode to 32bit+alpha...... just for reference to others, as I know you already know ;-) The point was that Jane Spaulding thought PNG _only_ supports 256 colors. Can't get passed the info screen so how do I get rid of it to enter key. Also gui does not fit in the notebook screen so can't access any control buttons. four at the same time maybe more, I pulled the plug by then. Rubbish! Can't get passed the info screen so how do I get rid of it to enter key. Also gui does not fit in the notebook screen so can't access any control buttons. All it does is flood the computer with e-commerce sites for their products about four at the same time maybe more, I pulled the plug by then. Rubbish! MikeR, I use Irfanview to fine tune (reduce via extra "compression") an image file size such that I am still satisfied with the resultant image quality. Can this tool or the Balesio tool do a better job, in your opinion, of quality/per compression ratio, or is it just a matter of UI steps convenience (and if so, what are those favorable UI steps)? Thanks. Balesio's app offers three different types of 'optimization', best described as minimal / medium / maximum. The user can also set her / his own parameters, too. Black Bird offers a similar approach, hence why I think it's a good GOTD today. Obviously, the quality of an original photograph and the size of its image file has a direct bearing on how well these apps perform, but in my own case I've seen file size reductions of 60% without any perceptible reduction in perceived quality. Hope that helps! Mark, I can't speak for Black Bird's current approach on this, so would suggest you download and try it for yourself. I can say though that both it and Balesio's app are less about 'compression' per se, more about removing from an image file, data whose loss won't adversely effect a viewer's perception of that image. (Balesio's website explains this in more detail.) Balesio's app offers three different types of 'optimization', best described as minimal / medium / maximum. The user can also set her / his own parameters, too. Black Bird offers a similar approach, hence why I think it's a good GOTD today. Obviously, the quality of an original photograph and the size of its image file has a direct bearing on how well these apps perform, but in my own case I've seen file size reductions of 60% without any <b>perceptible</b> reduction in perceived quality. Hope that helps! Interesting software since it can reduce the size without changing the resolution with a good visual result. Tested on 10 different images ( low and high resolution) with success. It woud be a plus if we can use a "drag and drop" to put image in complement of the "upload file" button. keep it, even it's a one year license. Interesting software since it can reduce the size without changing the resolution with a good visual result. Tested on 10 different images ( low and high resolution) with success. 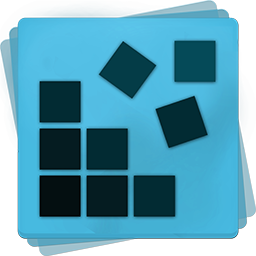 It woud be a plus if we can use a "drag and drop" to put image in complement of the "upload file" button. keep it, even it's a one year license. A simple, uncluttered tool for doing one specific job, and I think it does it really well. I was impressed with the results. Installed without hassle (Win10/64-bit). I ran a few quick tests for both single and batch processing options without incident. I can get similar end results with other products but I like the instant preview and filesize you get when altering the quality slider (and clicking on the preview image to see in full screen). And worth a mention is the tiny 2MB MB installation size. This one's a keeper for me; well done, and thanks! It needs more testing, but on initial trial I got same result from IfranView when I compare to this GOTD result. adif, can you save compressed png files as png files with Irfan View? I tried "File" > "Save for Web... (PlugIn)" but the output is jpg only. adif, can you save compressed png files as png files with Irfan View? I tried "File" > "Save for Web... (PlugIn)" but the output is jpg only. Wayne , I never did it that way. Thanks, TK. I know how to save files. What I don't know is how to optimize an image with Irfan View, size-wise. Thanks, TK. I know how to save files. What I don't know is how to optimize an image with Irfan View, size-wise. I have to be honest here, I could see a difference, quite a big difference, even at higher quality. Might be useful for smaller (dimension) images. What happens after 1 year, does it stop working? And to continue using it after that, do we have to pay $24.95 per year, or once off? Lastly, does it have to communicate with its developer every time we open it? “1 year license” What happens after 1 year, does it stop working? And to continue using it after that, do we have to pay $24.95 per year, or once off? Lastly, does it have to communicate with its developer every time we open it? Probably -- - - if you actually got it to WORK. 3 times installing and never would open.........wasted my time for naught. tomcat, Probably -- - - if you actually got it to WORK. 3 times installing and never would open.........wasted my time for naught. I'm impressed. Great size reduction without visual differences. Thumbs up.